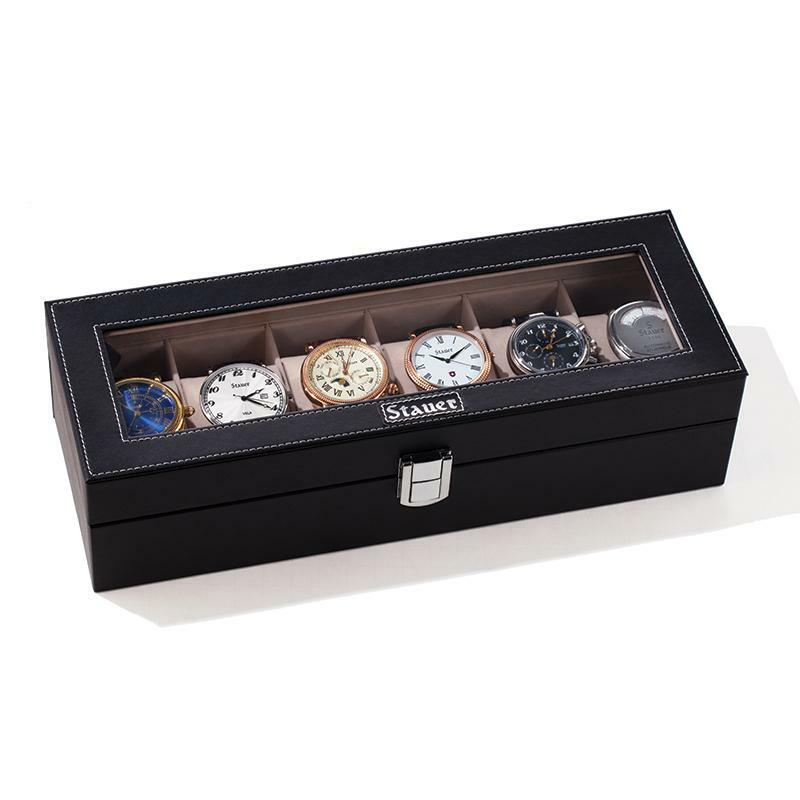 In fact, I bought this elegant box for my little husband who loves watches and needed another watch valet to arrange his last ones. He likes it, it is very convenient. The Stauer Watch Valet is at your service. 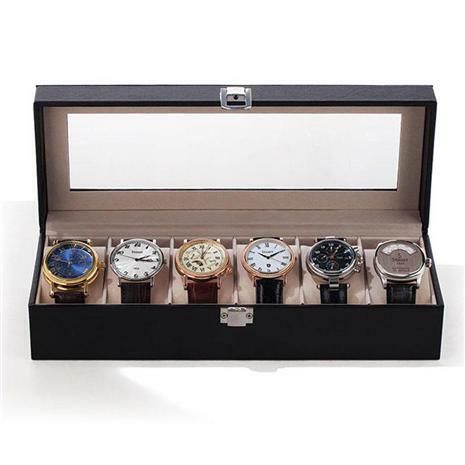 Six plush micro-fiber watch pillows keep your watches firmly in place. And, the lightweight leatherette covered wood construction makes it ideal for when you want to take your favorite timepieces to go. 12" X 4 1/4" X 3"